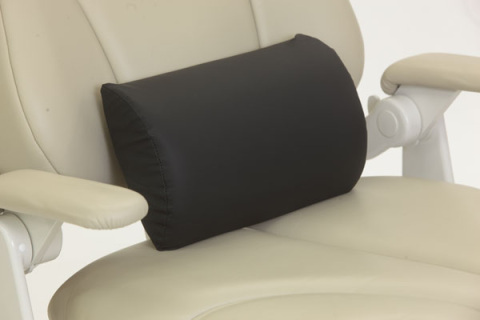 Crescent Memory Foam Dental Chair Cushions - the most comfortable ways to treat your patients. 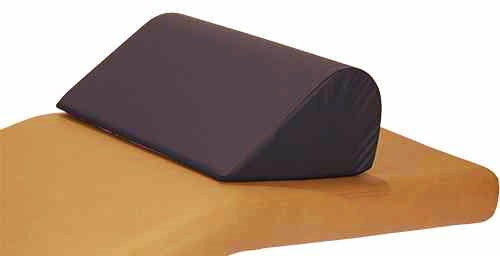 Crescent Memory foam cushions are made with visco-elastic foam that reacts to the temperature of the patient's body–moulding itself to the exact shape, offering the ultimate in comfort without pressure. Left: Example of memory foam in action. The Crescent Memory Dental Headrest shapes to the head and neck for optimum patient comfort. Made with memory foam that reacts to the temperature of the patient's body–moulding itself to the exact shape, offering the ultimate in comfort without pressure. When patients are lying back in a dental chair and lifting their chin for procedures, their neck will become very strained. The Headrest fills that “void” area behind the neck. 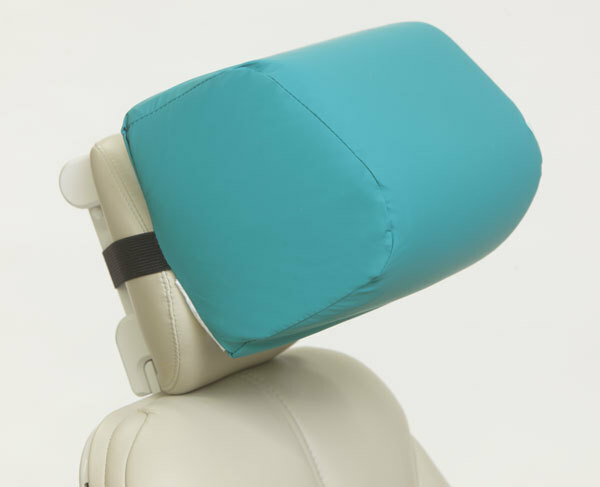 Headrest is made with memory foam so it will conform and work for any size patient and covered in that same, great medical-grade vinyl. 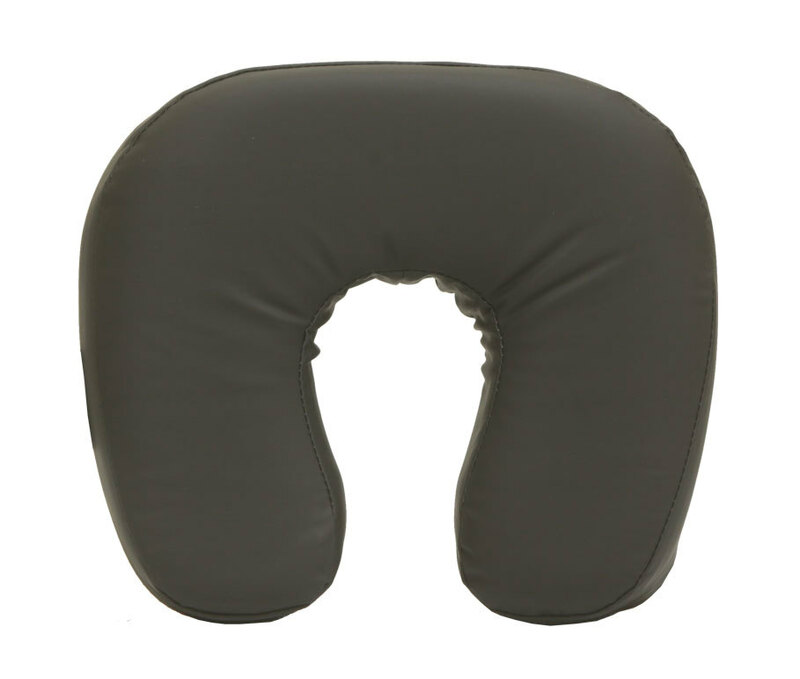 It reacts to the temperature of the body to form to the head and neck giving superb comfort! Position the headrest with the narrow end upward, and the thick end at the base of the neck (adjust to most comfortable position for user) - wherever it’s most comfortable and allows the user to angle their head back, bring the chin up, and still get support. You may use the elastic strap to keep it in position on the chair. 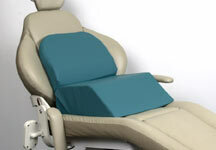 The Crescent Memory Backrest is great for supporting the lumbar area of the back during lengthy procedures. It is made from memory foam, which offers the ultimate in comfort without pressure because it moulds to your body as your body heat softens it. The Memory Backrest is covered with a soft vinyl, which can easily be wiped clean with disinfectant. The body has a natural curvature (and “void” area) behind the neck, and in the lower back. The backrest will fill (or support) that void area, providing comfort. 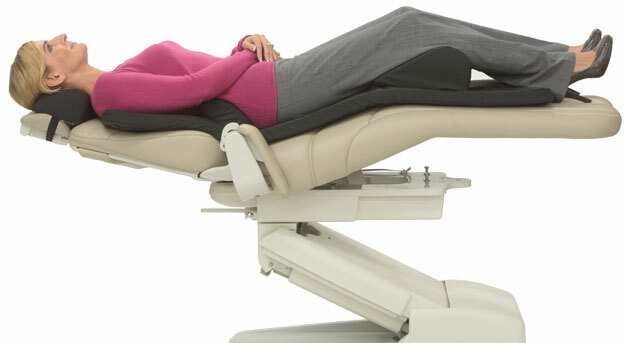 The Crescent Full-length Memory Bodyrest Pad was developed to soothe during lengthy procedures while providing pressure point relief to the body. The full-length pad is great for procedures in a completely reclined position and for those chairs with a wider area to rest the legs. The foam will bend where needed because of its contour cutting. 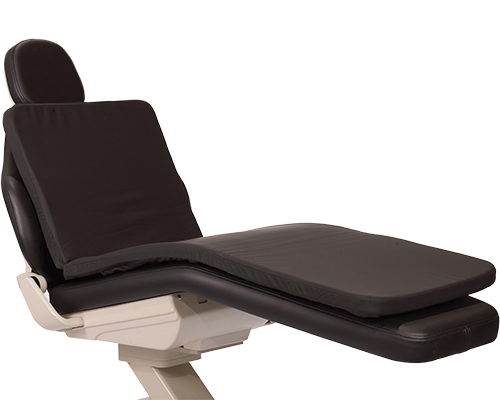 The Crescent Child Booster Seat™ is the ultimate seat to assist in the positioning of children in the dental chair. The Booster is great for use from children ages 3-8 or so. It is designed to raise the height of the child in the dental chair while performing standard procedures. The booster seat also works great in an upright position for X-ray purposes. It is 6" in thickness and has a special bevelled feature to prevent the child from sliding forward in the chair. The attached lumbar support will allow the child’s head and shoulders to relax in a natural position while supporting their lower back. The Child Booster Seat is covered with a soft vinyl, which can easily be wiped clean with disinfectant and will not absorb fluids. It also has a gripping material on the bottom so that the seat will not slide around while in use. It is recommended to use the headrest with the Booster Seat. The headrest should be positioned on children in what we refer to as “upside down”, meaning, put the narrow end of the headrest down between the child’s shoulder blades, with the thicker end right at the base of their neck. This forces the child’s head to drop back, keeping the airways open. Many dentists have a problem with children not wanting to bring their head back, allowing the mouth to be opened fully. This solves that problem. 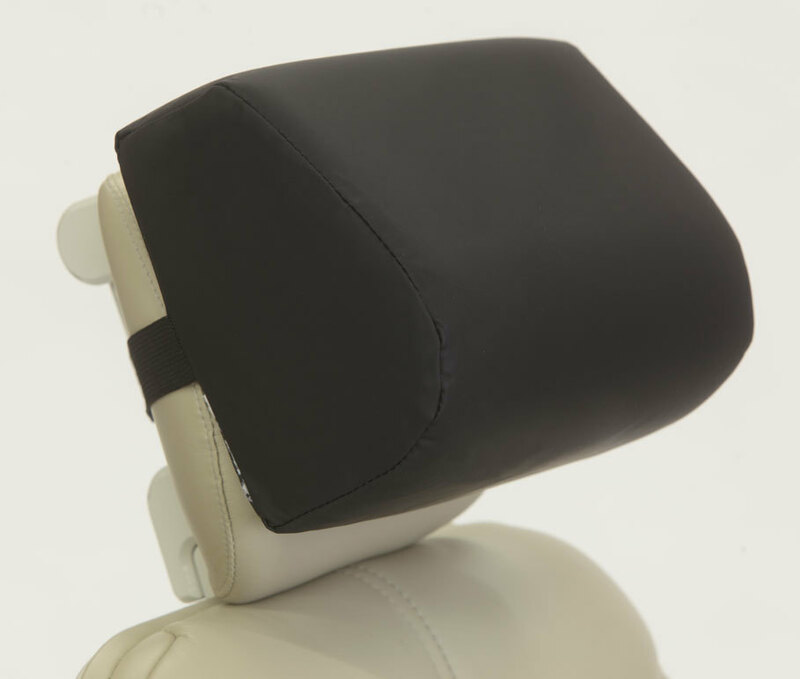 The Crescent Child Booster Seat is covered in a medical-grade vinyl and can be easily cleaned without causing discolouration or absorbing fluids. This support raises the patient's knee area six inches. Not only does it help allow the legs to lie in a more natural position, but it takes pressure off the lower back as well. It is sixteen inches in width so it covers almost the entire width of a standard size dental chair. 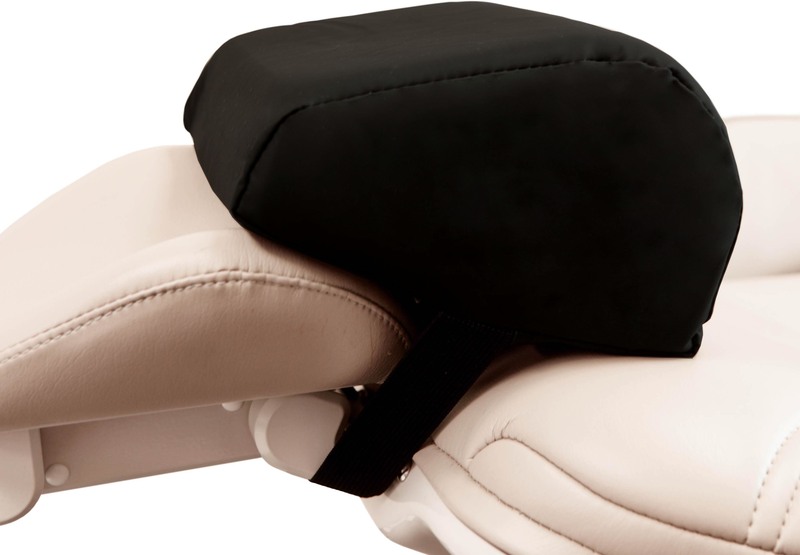 Your patients will feel amazing pressure relief in their lower back and hips, while using the Crescent Knee Support. It works extremely well in conjunction with the other Crescent Products comfort items – the Headrest, Backrest, and Bodyrest Pad. This support makes an amazing difference to the patient’s lower back. When they are lying back with their knees elevated, they are relieving pressure in the lower back, as well as the hip area. If you have you ever noticed your patients elevating their knees (especially pregnant women) while performing procedures on them? It is because they are putting a strain on their lower back if they don’t have their knees up. With the knee support, the “pulling sensation” immediately goes away. It is sixteen inches in width so it covers the entire width of a standard-size dental chair. It is covered in medical grade vinyl for easy disinfecting and has a gripping material on the bottom so it will not move around while in use. A wonderful neck support for the patient while procedures and recovery. The U-shaped Neck Support can be used during procedures to provide stability to the head and neck. It will support the neck area keeping the head in position to prevent discomfort for the patient while in a semi-reclined position. It is also covered in a medical grade vinyl for easy cleaning.